Who can resist a title like that! 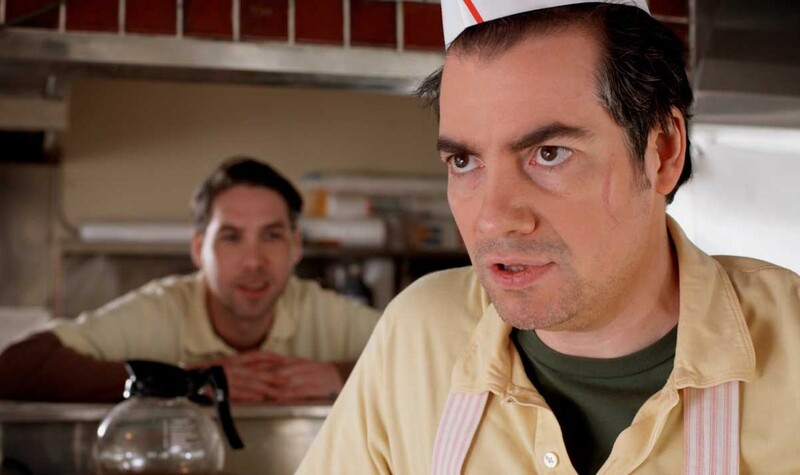 The ‘guy’ in question is none other than Kevin Corrigan (Pineapple Express, Fringe), one of those actors you know from so many fantastic smaller roles, now thankfully put in the spotlight as Ken Boyd, a mope of a man recently released from an institution after being mercilessly tormented in high school. His new life isn’t exactly stellar either, as he suffers the ridicule of his own mother (Karen Black), works a thankless job, and discovers that he has a pre-teen daughter. On the bright side, his high school bullies are being violently dispatched with gusto one by one, and he’s met a lovely girl (Lucy Davis from Shaun Of The Dead) willing to take a chance on him. Executive produced by John Landis, who knows a thing or two about horror comedies, Some Guy Who Kills People is a quirky black comedy in the truest sense of the word, fi lled with surprisingly operatic displays of bloody carnage, and a hilarious turn by Barry Bostwick (The Rocky Horror Picture Show) as The Sheriff. "Great, gory, unpredictable fun. One hell of a funny picture." Little Bo Peep has slaughtered her sheep, and doesn’t know where to hide them.